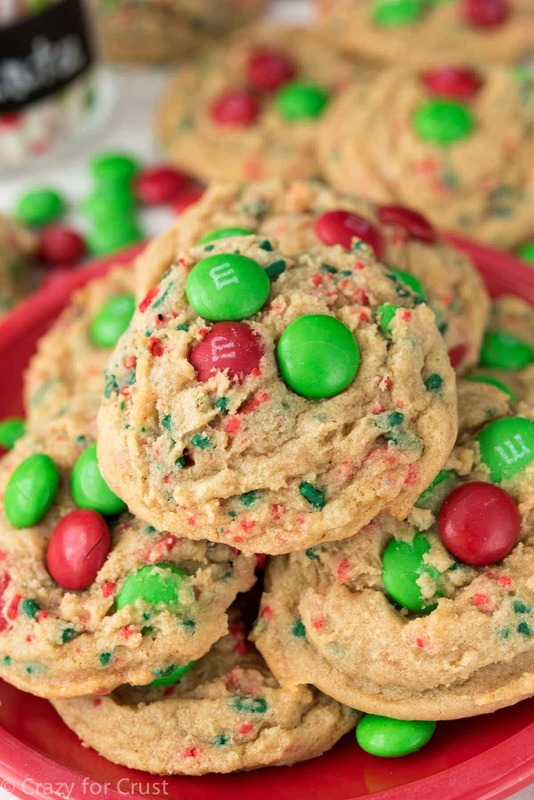 Santa’s Favorite Cookies are soft brown sugar pudding cookies, stuffed with Christmas colored M&M’s and festive sprinkles. I mean, I can only assume these are Santa’s Favorite Cookies. They sure as heck are some of mine! Okay, so I gotta say. I’m kind of in the mood for Christmas now. Even as recent as a few days ago I was completely bah humbug, but now…now I’m excited for the lights and the music, the family and the parties, and the shopping. I think my shift in thinking really started a few days before Thanksgiving. Kohls started their online Black Friday sale early and I bought a bunch of stuff for $100. Something about buying all the expensive things and realizing they only cost you about $10 a piece really got me in the mood for the holidays. I know, shopping got me in the Christmas spirit; somewhere in the North Pole Santa is rolling his eyes. Speaking of Santa, I happen to know that these are his favorite cookies. I mean, why wouldn’t they be? 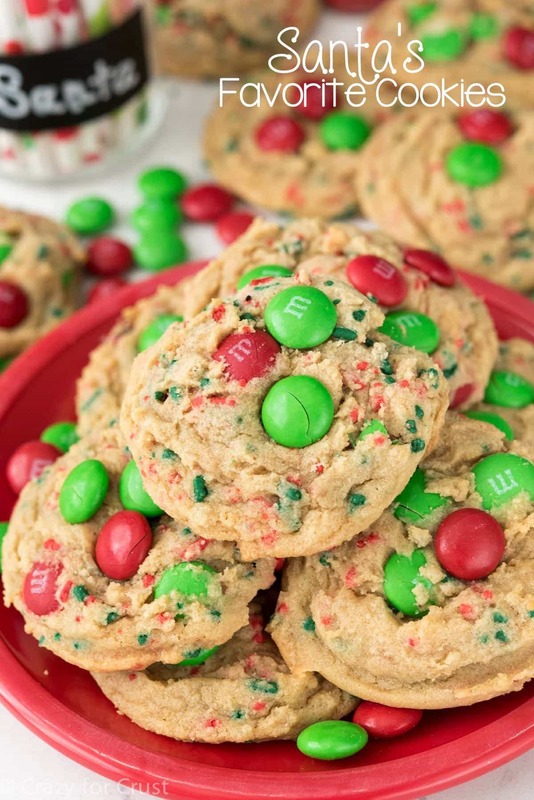 They’re brown sugar pudding cookies filled with bright firecracker Christmas sprinkles and holiday M&Ms. 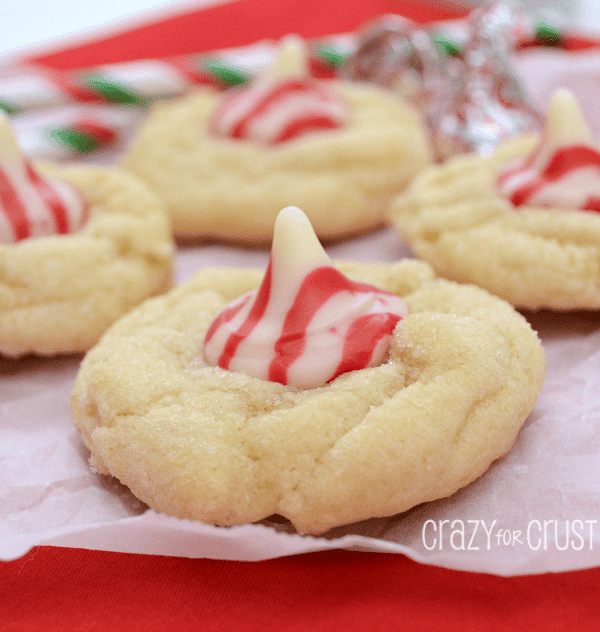 Santa’s favorite cookies – well, they are my favorite cookies…why shouldn’t they be his? 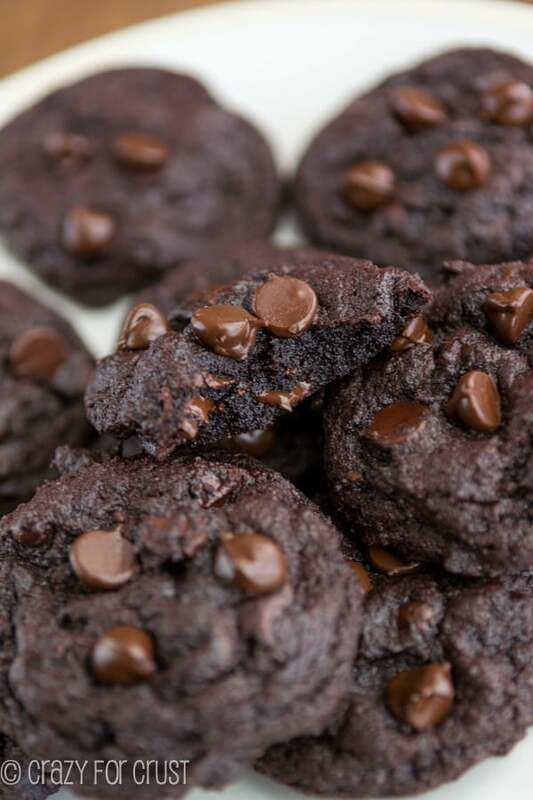 This cookie recipe is such an easy one, and it’s totally foolproof. I am so in love with pudding cookies, obviously. You can make so many flavor combinations: chocolate, butterscotch, coconut, lemon. If they make a pudding mix for that flavor, you can make that flavor cookie. For this pudding cookie recipe, I used all brown sugar, which is the same as the one I made for the 4th of July. I knew I had to replicate that cookie for Christmas because second to red, white, and blue, red and green is my favorite color combo. The cookie dough mixes together easily, with butter and brown sugar and vanilla pudding mix. Brown sugar and pudding mix by themselves yield super soft and pillowy cookies, but when used together? It’s like a soft cookie to the extreme. And they stay soft for days – no stale cookies here! What are your favorite Christmas cookies?? The dough requires chilling, so be sure to plan for that. Be sure to use instant pudding mix, not cook-n-serve. You just need one of the small boxes, which is about 3.4 ounces, depending on the brand. Get creative – use any flavor pudding mix. 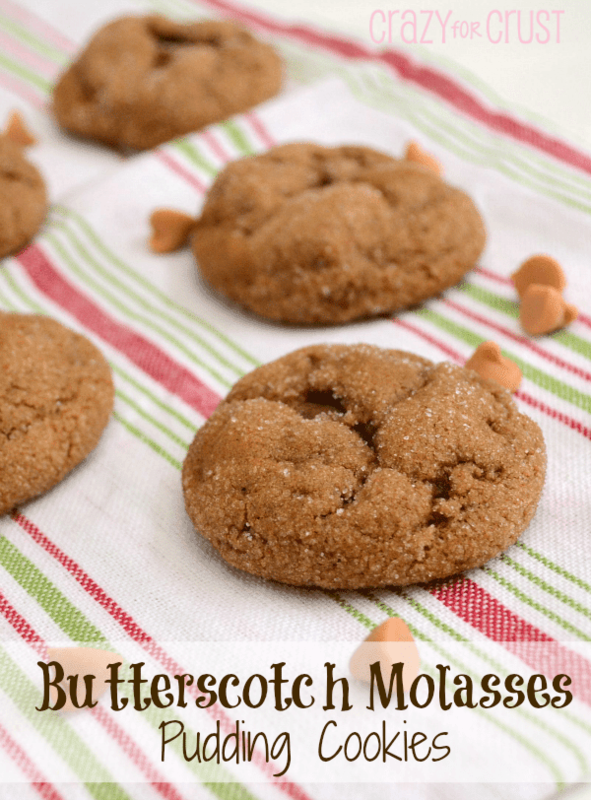 Have a craving for butterscotch? Use butterscotch pudding mix. Or coconut. Or chocolate. Or banana…you get my drift. What are Santa's Favorite Cookies? These easy brown sugar pudding cookies, of course! Soft and pillowy, these cookies are filled with brown sugar and Christmas candy! Cream butter and brown sugar in the bowl of a stand mixer fitted with the paddle attachment. (You can also use a hand mixer.) Mix in egg and vanilla until smooth. Add pudding mix, baking soda, and salt. Mix until combined. Mix in flour, then stir in sprinkles and M&Ms. Scoop 2 tablespoon balls of cookie dough onto a cookie sheet covered with parchment or a silpat baking mat. There’s no need to space them out, you’re going to chill them. Cover and chill for at least 30 minutes. Preheat oven to 350°F. Line cookie sheets with parchment paper or silpat baking mats. Place chilled cookie dough balls 2” apart on cookie sheet. Bake 9-11 minutes or until the edges just start to turn brown. Cool 5 minutes on cookie sheet before transferring to a rack to cool completely. Store in an airtight container for up to 4 days or freeze for up to one month. These cookies were horrible! I made these with my grandson for him to leave for santa. The 1st batch we made we could not even use because it was just so dry it didn’t even mix well. I was sure that the butter was softened properly And I followed all of the directions but the mixture would not meld together. We mix to 2nd batch, using chocolate pudding this time, and it was very hard to mix but we finally got everything together and chilled the dough. The dough was too hard and translated to hard cookies at the end. I followed all of the directions exactly as written and I too can hammer nails with these cookies. It’s a good thing we have another day to make a different kind of cookie for santa. Very disappointing! What kind of pudding did you use? I’ve had that happen if I accidentally use sugar-free or cook ‘n serve pudding. Regular instant pudding will work just fine (I’ve made the same cookies about 100 times and they’re always soft).